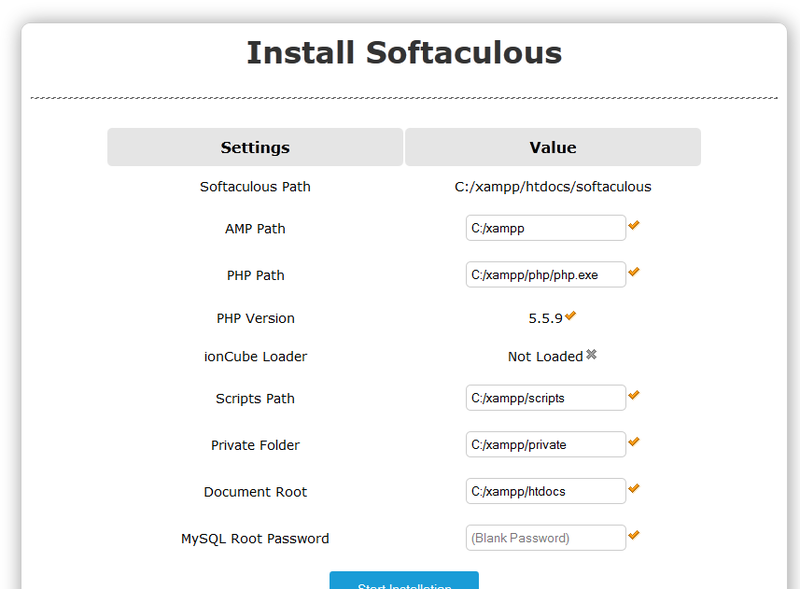 The following guide will help you on how to install Softaculous on XAMPP for Windows. Note: Softaculous will be accessible only from localhost(127.0.0.1). A working XAMPP i.e Apache, MySQL and PHP. ionCube Loaders must be enabled. It can be downloaded from here. Extract the package under XAMPP’s htdocs, generally C:/xampp/htdocs/softaculous(You will have to create softaculous folder). AMP Path : Location of the XAMPP. Scripts Path : Softaculous will download the scripts like WordPress, Drupal, Joomla, etc here. Private Folder : All the installation details, backups, data directory of few scripts will be stored here. It should not be web accessible. Click on “Start Installation” to start the installation. 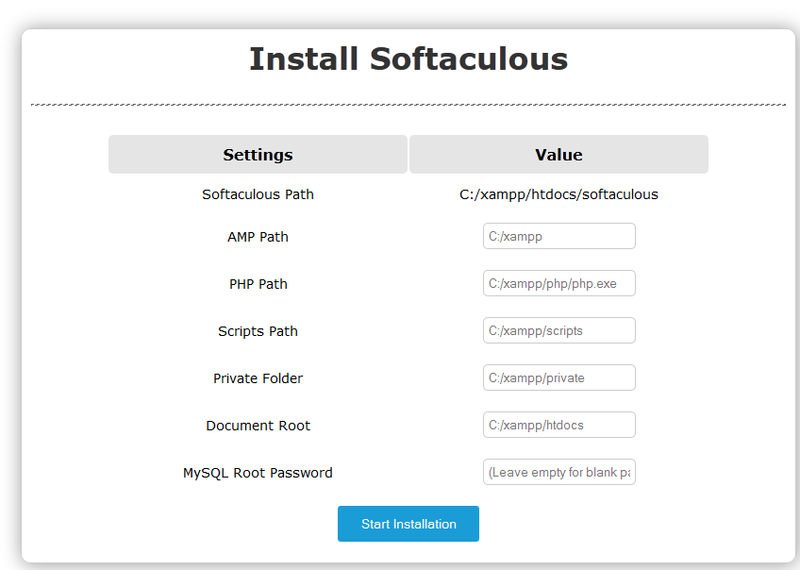 Click the link which is displayed to access Softaculous, you can start installing scripts now. Softaculous installer will create an action in Windows Task Scheduler which will run the cron every 24 hours. This Softaculous Cron is to keep your Softaculous and Scripts updated, you can update your existing installations of WordPress, Joomla, etc scripts to latest version. Note: Replace C:\xampp with correct xampp path.